New Delhi, April 17 (IANS) Embattled liquor baron Vijay Mallya has once again attacked the government for discriminating between public sector and private airlines while extending solidarity with crisis-hit Jet Airways and its founder Naresh Goyal. In a series of tweets, Mallya said he was sorry that so many airlines had bitten the dust in the country. "Even though Jet was a major competitor to Kingfisher at the time I feel sorry to see such a large private airline on the brink of failure when government used (Rs) 35K crore of public funds to bail out AirIndia. 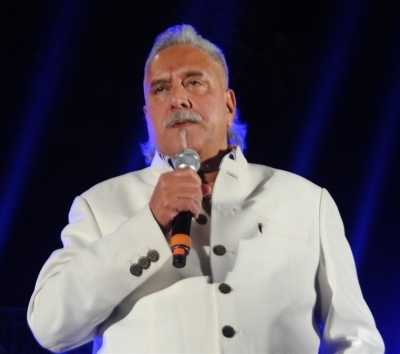 Just being a PSU is no excuse for discrimination," Mallya tweeted. For want of cash and saddled under heavy debt, Vijay Mallya's Kingfisher Airlines had shut down in October 2012. Mallya currently owes about Rs 9,000 crore to a clutch of public sector banks. Once the "King of Good Times", Mallya is now a fugitive economic offender living in London and facing extradition. The controversial billionaire has extended full sympathy to Naresh Goyal who was recently forced by the public sector lenders to quit the airline board. "Even though we were fierce competitors, my sympathies go out to Naresh and Neeta Goyal who built Jet Airways that India should be extremely proud of. Fine airline providing vital connectivity and class service," he wrote.